Well Graduation has come and gone and I am preparing my daughter to take the next step and start her new adventures in college. But in reading this I realized that I have accomplished my goal and I am enjoying every minute of our last few days together. Watching my children start school this year was more emotional than it has ever been. Today was a day of “First Lasts” for me that really has me thinking about life, love and what really really matters. I am thankful to say that I have a high school senior in my home. My daughter Montana has begun the journey into complete independence. Everyone is officially in school today and as I watch them all depart from the car one by one, each moving into the next year of their lives, I am so thankful that they are all a part of mine. However, it has forced me to rethink my rushed way of moving through life and take time to contemplate what it is going to look like next, and how I want to handle the moments big and small. Sometimes I think we get so busy as moms, making sure the needs and schedules are met, jumping in and out of cars, kitchens, athletic events, concerts and such that we miss the mini moments that are precious. I have tried hard my whole life to soak everything in and yet I know there are times I have failed miserably. Now, today, my daughter started her senior year. Every moment from now till graduation is a “First Last”, and I want them to last in my heart forever. Not so that I can hang on to her but so that I can let her go. As a parent, up to this point I have rarely contemplated letting go, but in reality we start letting go the minute God blesses us with their presence. I am praying everyday that God will allow me to do it with grace. That with all four of these precious gifts God has given me to raise I will give them the freedom to become all that He has for them. Being a mother is the single most important opportunity I have been granted in my life. Of all the accomplishments I have been blessed with as an individual over the years, motherhood is number one. What I do with my children affects eternity on levels I am unable to comprehend, but I know that it is the most significant calling I will ever have. And so I encourage all mothers to celebrate the “First Lasts” that come your way. Relish those moments and tuck them away for safe keeping when time runs short. The best is yet to come. I am trying desperately to start writing again and in going through that process I came upon this post from last Fall and found it very on target with where I am at right now. As of today, I have a high school senior and the idea that my children are becoming adults right before my eyes is overwhelming. Holding my kids tight and enjoying the ride. Hope you are too. As a mother, I thank God everyday for the love and health of my children. I am humbled to watch them grow and walk along side and witness God’s hand in molding who they each are to become. I was reminded of this the other day when we got a call to check one of the pastures we have cattle on, as there was a report of a hole in the fence. A calf had ventured out and gotten herself into trouble eating the ditch grass on the wrong side of the fence. After a quick trip to the pasture the problem was remedied but the hole in the fence was not. Of course my “Man of the North” was working the other farm and unavailable. So as is most days the burden falls to my oldest son. He has become my mainstay in times of need. Home I went to gather him up along with the fencing supplies and off we were to fix the fence. If you have cattle you understand that fixing fence is a never-ending process. What struck me this day was not the fence fixing but the opportunity to witness the pure joy of one of my children living his dream. 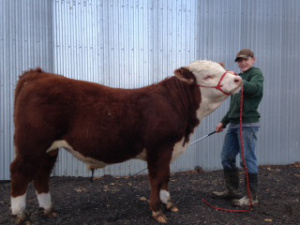 My son Wyatt has made it very clear that he is destined to be a cattleman. He lives, sleeps and breathes cattle. That was it! Expectation! My husband and I have set expectations of excellence for our children since the day they were born. With the pure purpose being, to establish a clear understanding of what excellence actually looks and feels like, so that when we are not there to encourage them, they will be empowered to encourage themselves and those around them. My experience has been that even when we set the bar high for our children, they far exceed our expectations with their own and in doing so are developing a sense of confidence in what they are truly capable of. And I got all that just “Fixin Fence”. Make it a great Monday and God Bless. I have been looking through my postings from the past and this was one of those moments that I thought was worth reposting. My strong son has grown so much in the past six months and continue to makes me proud to be a farmer’s wife and now a farmer’s momma. When I married my “Man of the North” 19 years ago and became a part of a family farm, I realized very quickly that despite my education in agriculture and passion for the industry I had a lot to learn. Living on a working farm requires a level of commitment that I did not truly grasp until I was directly faced with it. I never looked back. My son and his show bull. That being said, I recognize that it takes a special kind of person to be a farmer and a special kind of person to be married to one as well. My role as the farmer’s wife is one I am proud of. I have embraced it to the fullest and have worked hard to foster the same work ethic and appreciation for the farm in my children as well. Statistically speaking, there are fewer children returning to the farm every year, which has resulted in less than 1.5% of our population, physically producing food here in the United States. As I have watched my children grow and develop over the years, I have been hopeful that at least one would show desire to carry on the tradition and come back to the farm. My husband and I both believe it needs to be their choice, that God’s plan for them comes first and we have put our trust in Him to guide our children to their ultimate purpose. Of course we pray diligently for clarity in raising them, continually asking for wisdom and discernment, and last our prayer for the legacy of our farm is deeply seeded in our heart. He is a cattleman at heart. 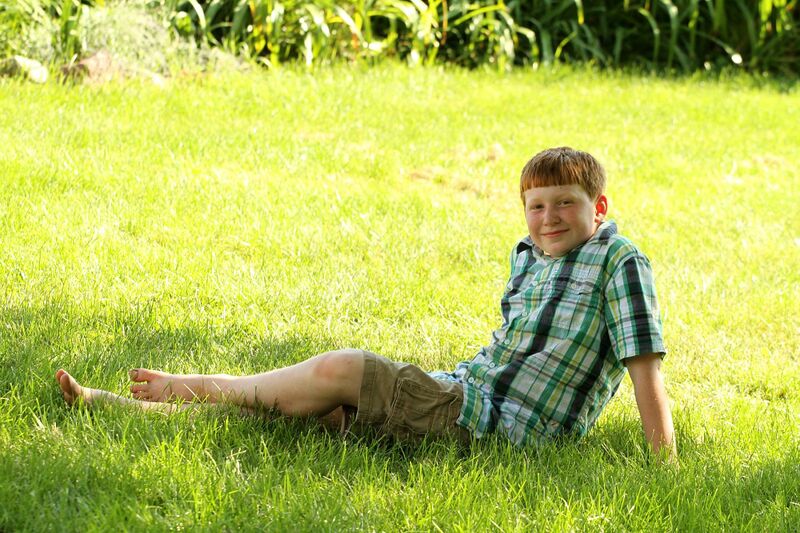 In the past year I have witnessed my oldest son Wyatt beginning to come of age. He is 14 and I am so thankful for his true love for the farm. He started driving farming equipment at age five, and spends every free hour of his life not committed to school or swimming, in his fathers back pocket learning and gleaning what he can so he can take over someday. I have the joy of watching the relationship between father and son grow deeper and deeper everyday and I am looking forward to the future. Most of all, I am confident that Wyatt is answering his calling. He is most at peace when out on the farm working for the future of agriculture. 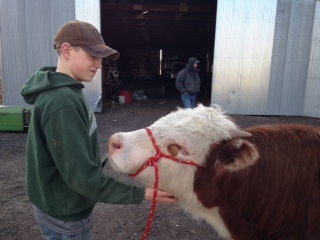 And I know that our food supply is in good hands because my son loves what he is doing. He will be the fourth generation in his family to work the family farm. For that I am rule thankful. Several years ago when my second son Wade was about 5 years old he and I had an interesting discussion that I was reminded of the other day. I think it is worth sharing. He and I were having a chat about God and the gifts that He graciously bestows on each of us as He directs our purpose here on earth. At the time I was so delighted by the mature insight of my five year old and also brought to tears of laughter by his comments. He told me that he had a pretty good idea what everyone in our family’s gifting was. He stated that his sister had artistic gifts, among may others, that his older brother had the gift of athletics and driving tractors. His father had the gift of work and I the gift of cooking. I asked him what he felt his gifting was and with a deep sigh he looked at me in complete seriousness and said, “Mom, I have the gift of play.” At the time I really thought this statement was not only humorous but potentially challenging for me as a mother when it came time to motivate him later. It has in fact been the opposite. Little did I know that two years after this conversation, my husband an I would be blessed with another child, a boy, seven years younger than my Wade. Wynn is constantly after his older siblings to “play” with him as he is now six and they are 15, 14 and 13. Wade has assumed the role of his primary playmate over the years and I know that without Wade, my life as a mother would be much more challenging. Wade is using his gift each and everyday to love on his baby brother and he desires nothing more than to care for him in every way. Additionally, Wade’s “gift of play” has influenced us all as he reminds us of the necessity to stop running and just for a moment, spend some time playing and pretending and dreaming. His gifting is so much more than superficial time with toys. His gifting is the essence of what makes him pure and real and an absolute joy to be around. I have learned through this experience how important all the gifts our children are given make them into the people God would have them become. Most of all I have learned that we are never too old to take a minute out of the busyness of life to play.